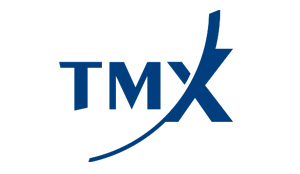 TMX Group has announced that Kevan Cowan, the President of TSX Markets and Group Head of Equities has left the organization to pursue other opportunities. "Kevan's accomplishments at TMX Group are both numerous and significant, and I would like to thank him for his contributions," said Lou Eccleston, Chief Executive Officer, TMX Group. "The Board of Directors and the entire TMX team join me in wishing Kevan all of the very best in the future." The company intends to announce Cowan's successor in the coming days, but in the interim, the equities business will report to Mr. Eccleston. TMX Group's key subsidiaries operate cash and derivative markets and clearinghouses for multiple asset classes including equities, fixed income and energy. TMX Group is headquartered in Toronto and operates offices across Canada (Montreal, Calgary and Vancouver), in key U.S. markets (New York, Houston, Boston and Chicago) as well as in London, Beijing and Sydney.